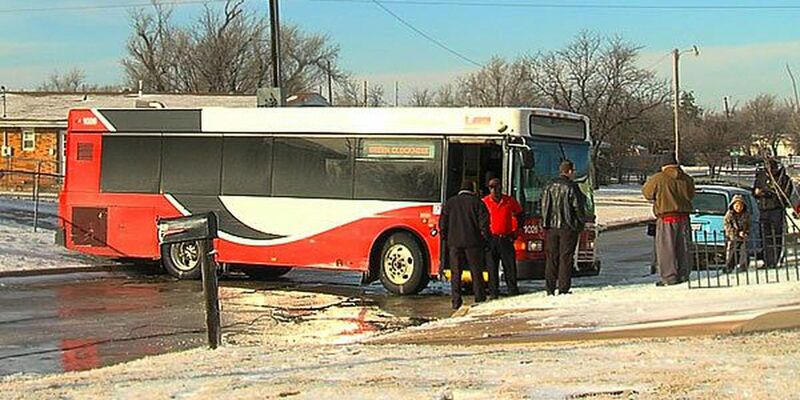 LAWTON, OK (KSWO) -Icy streets in Lawton are to blame for causing a city bus driver to lose control and hitting a mailbox and parked car. It happened around 8:30 a.m. Tuesday at Northwest 46th Street and Lindy Avenue. According to LATS officials, the bus driver tried to slow down when a man flagged down the bus, the bus hit a patch of ice on the road and spun out. There were four passengers on the bus at the time. No one was injured in the incident. Checker Wrecker was called out to help move the bus after a LATS winch broke. LATS made the decision to go back to their snow route after the incident. Copyright 2015 KSWO. All rights reserved.